The government can take your animals without a jury trial from the outset (now only a hearing) so your barks and howls are needed! This is a chance to fix this problem since not every seizure is a valid one. Call & Fax!! 1. Amend the Cost of an Appeal Bond so it does not include administrative costs (expenses for investigation, expert witnesses, costs of sale, cost of euthanasia). –No other civil cases require an appeal bond to include these costs. –These costs are taxed against the owner if he or she loses anyway. –Adding administrative costs to an appeal bond will make it so expensive that it will prevent appeals. 2. Amend HB 963 to provide for the option of a jury trial in lieu of the initial hearing. –These cases are heard in municipal courts and justice courts and these judges routinely rule against the owner. –No other civil cases dispossess someone of their property without the right to trial by jury from the outset. –Animal control and animal organizations confident in the basis for a seizure should welcome a jury trial. — Providing an owner with a jury trial from the outset actually curtails appeals because people feel like they got their day in court. –A right to a trial by jury is an essential part of our justice system so valuable property rights of Texans should not be extinguished without a trial from the start. –Extinguishing property rights with only a hearing gives the government too much power. Animals today, what’s tomorrow? Thank you so much for all your help this Legislative Session! Stay tuned for what happens in these last 10 days! DONATE at www.TexasDogCommission.com (by PayPal or any major credit card). Please, donate whatever you can to this cause so that our voices can continued to be heard in Austin. 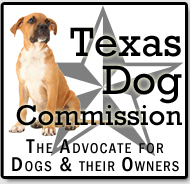 SIGN UP: If you are not on the mailing list for Texas Dog Commission, you can sign up to receive emails about legislation affecting our dogs and our rights to own them. 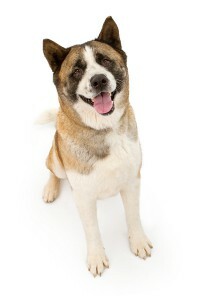 Go to www.TexasDogCommission.com and look on the left lower side of the homepage to Receive Email Alerts. You will receive email alerts about proposed laws that affect dogs and your email address will be not shared or sold ever.